The suggested age on this one is 6-9, but I wholeheartedly disagree. 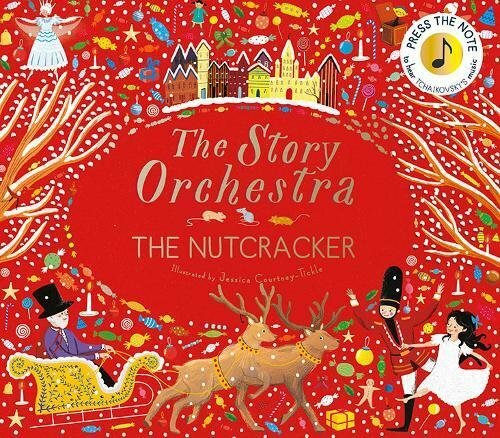 We got our first Story Orchestra book — Four Seasons in One Day — just after my daughter turned 3, and she’s loved it ever since. The minute she saw The Nutcracker, she adopted it as her own. The only problem with this book for the younger set is difficulty pushing the “buttons” that make the music play. The music is brief but beautiful and really helps to enhance the reading experience. I look forward to more books from this series in the future. Even though we don’t buy a fresh tree at our house, Pick a Pine Tree still resonates. In fact, it’s one of my favorite new books this year. 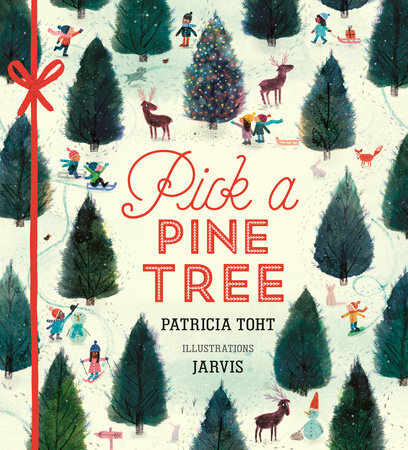 Patricia Toht’s rhythmic text is great fun to read aloud and Jarvis’ illustrations are warm and inviting. Clara’s dream is to become a Christmas fairy, whose job it is to stay still atop the tree. But when Christmas lesson time rolls around at fairy school, things don’t go quite as planned. Clara’s so excited that she can’t possibly be still and quiet like a fairy should. Although she tries her best, at heart she’s still a wriggly, giggly chatterbox who likes nothing more than making people smile. But when it’s time for the big Christmas Show, it looks like that’s exactly the kind of fairy Santa needs to help him save the day. At last, Clara can put her talents to good use, and it soon becomes clear that there’s more than one way to be a Christmas fairy! Clara is that kid we all know. The one who can’t stand still no matter how hard they try. I love how Clara’s wiggly nature turns out to be an asset instead of a hindrance. The Christmas Fairy celebrates who Clara is rather than who she’s at first expected to be. Sweet illustrations really put it over the top. This is a charming little read. My daughter was immediately drawn to this activity book. She is obsessed with ornaments and the Christmas tree, so making some of her own is very exciting. We haven’t done all the activities listed in the book yet, but plan to incorporate them throughout the season. Dot may be the littlest reindeer in the North Pole, but she has a big desire to help Santa pull his sleigh! But Dot just can’t seem to fly the right way, no matter how hard she runs, leaps, and kicks. Will Dot learn to fly, or is the littlest reindeer just too little? 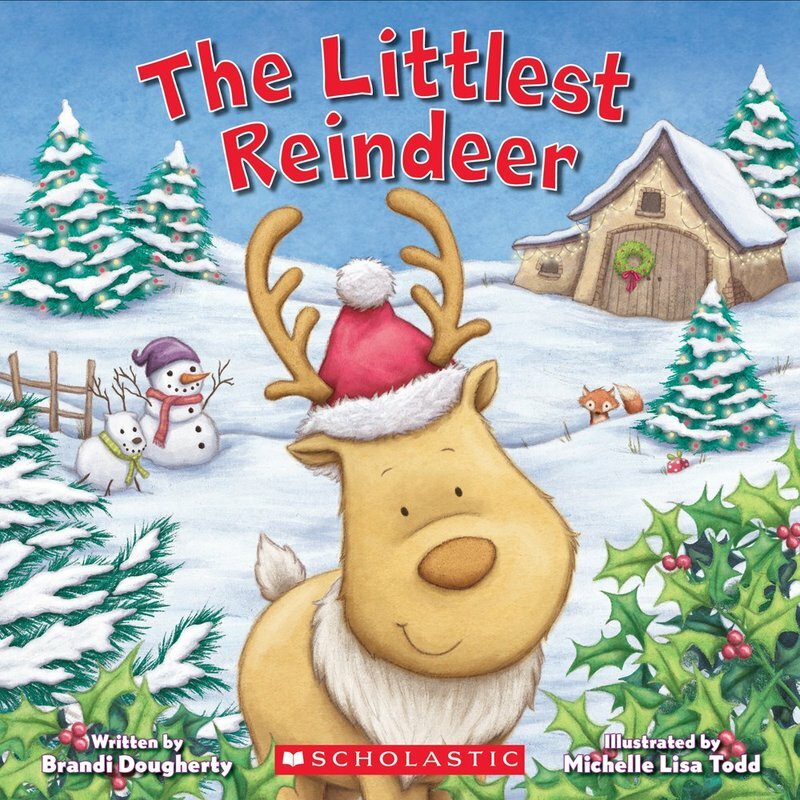 The Littlest Reindeer is a great choice for the “little helpers” in your household. This sweet book is a reminder that everyone is big enough to do something, even if that something isn’t what they wanted to do in the first place. And at $3.99, it’s a great price. It’s the day after Thanksgiving, and Clayton and Desmond feel the chill in the air. The cool weather makes them think of Christmas . . . and Christmas makes them think of Christmas trees! Who’ll find the biggest one? Clayton the town mouse and Desmond the country mouse team up to bring the spirit of Christmas to Mouseville-in a BIG way. 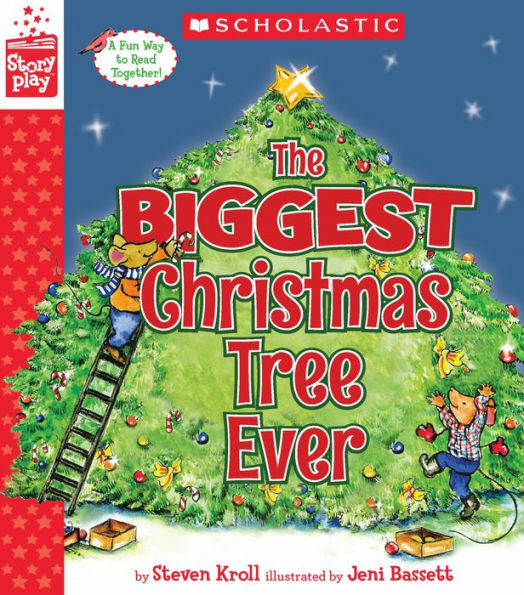 This version of The Biggest Christmas Tree Ever is part of Cartwheel Books’ Story Play series. 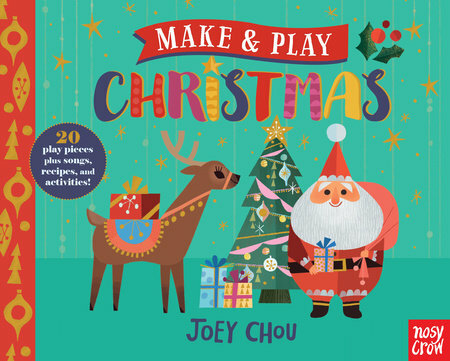 In addition to the book’s original story, story-related games and crafts are included with the idea of extending the reading experience. Unfurl a delightful accordion-fold book to find a turtle dove rising on the wing, a sprightly lord a-leaping from the page, and many more elements of the familiar seasonal song. Featuring the captivating art of Grahame Baker-Smith, this Christmas keepsake tucks back into a slipcase until the next holiday season. 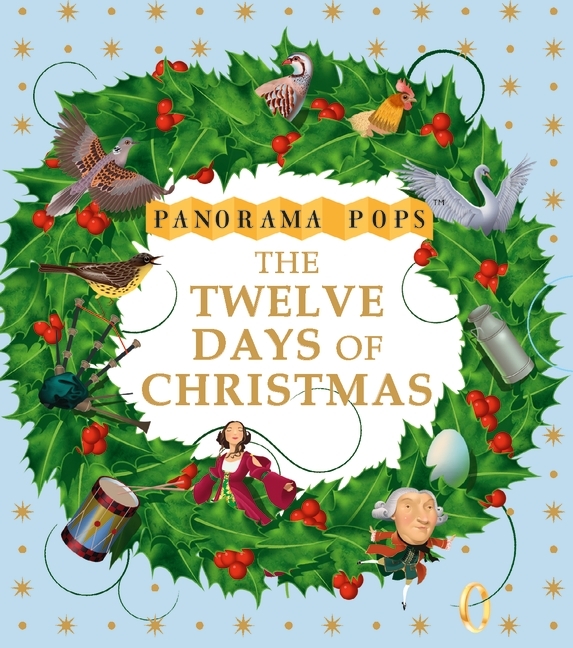 Who doesn’t know The Twelve Days of Christmas? This book/carol has so many iterations; it’s hard to keep them all straight. What makes this version stand out is its accordion-like popup design. You can read it like a book, flipping it over halfway through, or you can stretch it out and look at six days all at once. The popups aren’t overly detailed, but they add a nice touch. While children will love the interactive nature, I can also see adults using this version as decoration on a holiday table, top of a piano or mantle. Christmas is coming and it’s time to get a full night’s rest at the North Pole. Santa checks in on all his reindeer to make sure they’re tucked in for the night. All the lights are out, except one . . . Good night, Rudolph! 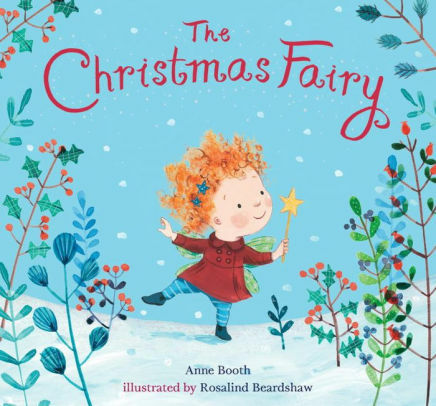 Told in simple rhyme, this is a perfect bedtime story for children who just can’t wait for Christmas morning. The main characters in Good Night, Reindeer have great personalities, they’re like really big kids. 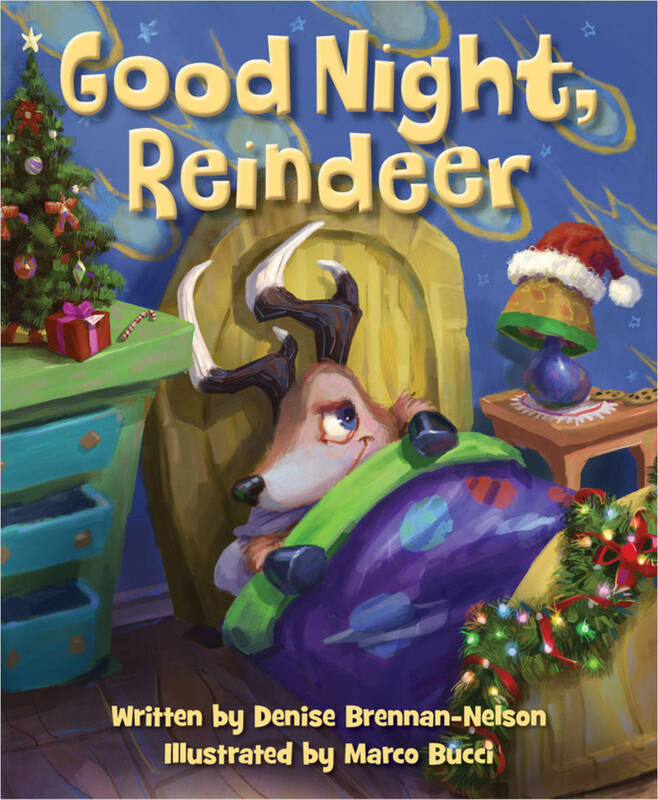 A turn of each page introduces you to a separate reindeer with very different personalities. A sweet, simple rhyme takes you through the pages, but it’s the illustrations that really shine in this one. This is the story of a young girl who attempts to sell her last bundle of matches on Christmas Eve. As the snow falls and the crowds pass her by, she strikes one of her matches, hoping for a little warmth. In its flame, she sees a vision of a roaring fire in a hot stove. The match goes out, taking the vision with it. A second match conjures a vision of a vast dining room complete with a feast fit for a king. The third match reveals a towering Christmas tree. With only a few matches left, she strikes them all and sees a vision of her beloved grandmother. Only this time, it is more than a vision as the spirit of grandmother takes the little match girl with her into heaven. 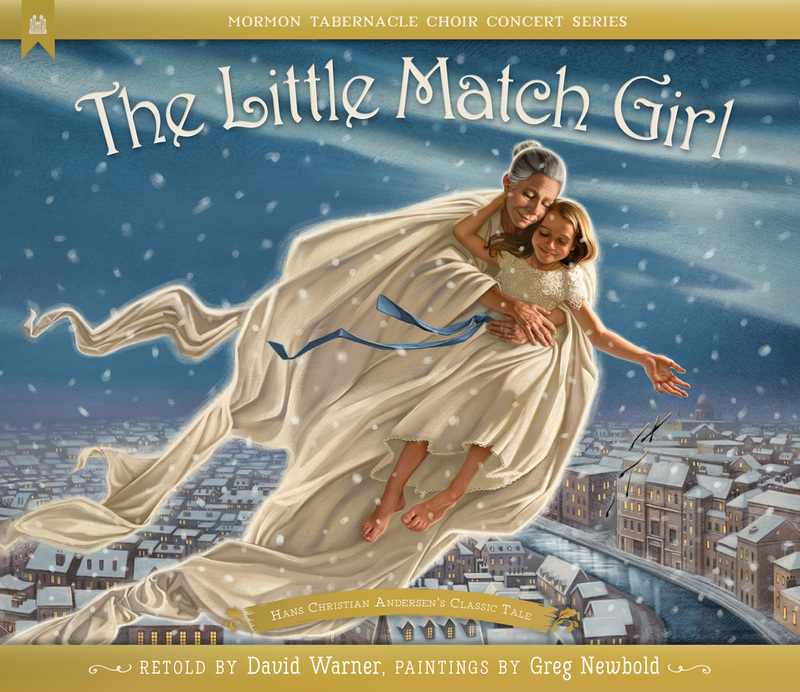 The classic children’s story The Little Match Girl, by Hans Christian Andersen, was included as part of the Mormon Tabernacle Choir’s annual Christmas concert series. This is the illustrated version of that story. Greg Newbold beautifully illustrates this version. His use of light brings an otherwise sad story to life, and adds hope where there is none. While The Little Match Girl is one of Anderson’s most enduring stories, I found it a little too intense for 4-year-olds. I recommend 5 and older for this one. Meet Leo — a creative, shy, young boy in search of a special talent that he can share with the world. Curious and persistent, Leo tries all kinds of activities. Then, with the unknowing help of his sister, he discovers music. Leo may seem quiet, but the piano gives him a big voice, helps his confidence soar, and propels him to embrace the treasure inside him and share it with the world. 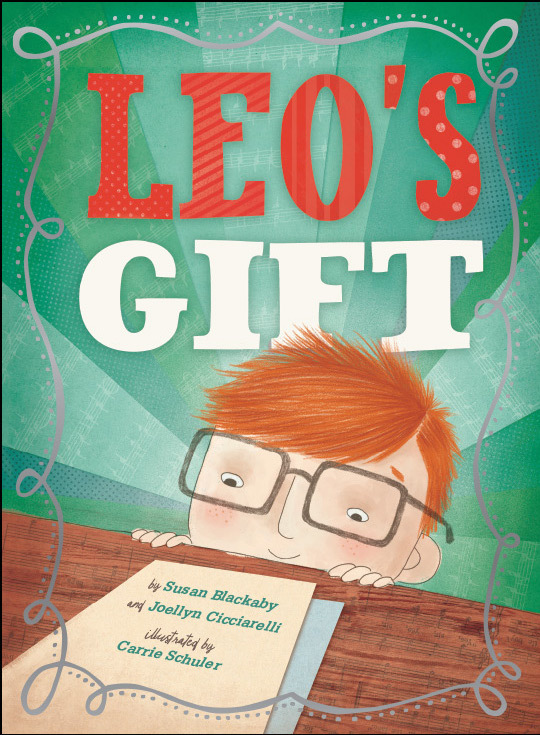 The characters in Leo’s Gift are working toward Christmas, but the book works anytime of the year. The story is simple and complex at the same time. On it’s face, it’s about celebrating your talents. If you dig deeper, there are themes of confidence, hard work, celebrating siblings and focusing on what gives you joy. Carrie Schuler’s mixed-media illustrations play to the themes and add depth throughout. 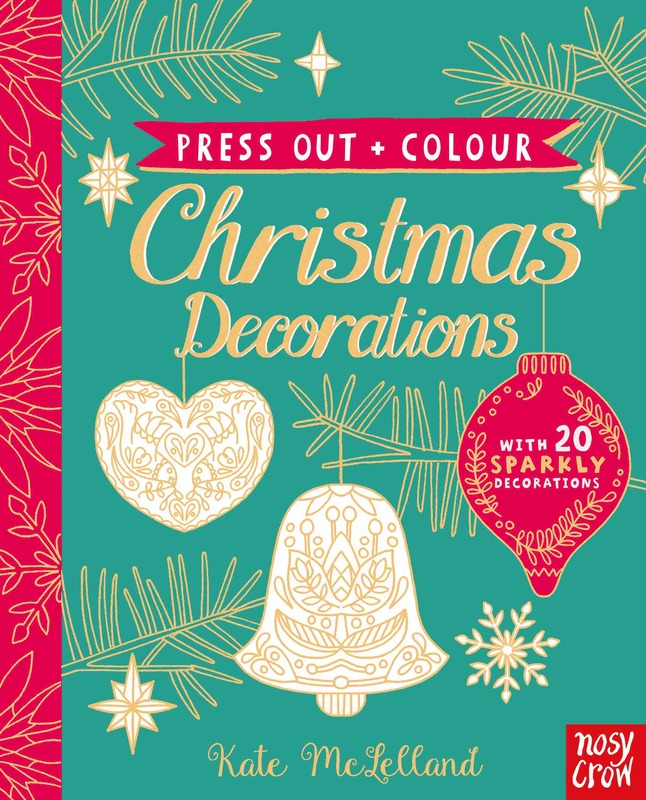 Each of the twenty press-out Christmas decorations in this book can be easily slotted together to create cheerful hanging ornaments to adorn the Christmas tree or to add a festive touch to any space. While this is technically a book, it’s more of a delivery system for white and gold ornaments that are pretty on their own or colored. Kate McLelland’s delicate designs are intricate and have a filigree feel. I plan to save these beautiful ornaments until my daughter has a longer attention span and dexterity needed to fill in small areas. In a series of letters, a young girl writes to Santa to ask about the North Pole, Mrs. Claus, and of course, Christmas goodies. Year after year, Santa writes back, and a relationship develops, until one year, the girl writes to her mother instead: Mom, are you Santa? Her mother responds to say that no, she is not Santa. Because Santa is bigger than any one person — we bring him out through kindness to one another and the power of imagination. This transformative tale spins a universal childhood experience into a story about love, giving, and the spirit of Christmas. In all honesty, my husband and I decided not to do Santa with our daughter. Something about the idea that a strange man breaking into your house and leaving you gifts if you’re good, doesn’t sit right with us. I don’t want to lie to her about something so big. However, I do know Santa is magical for some families. Love. 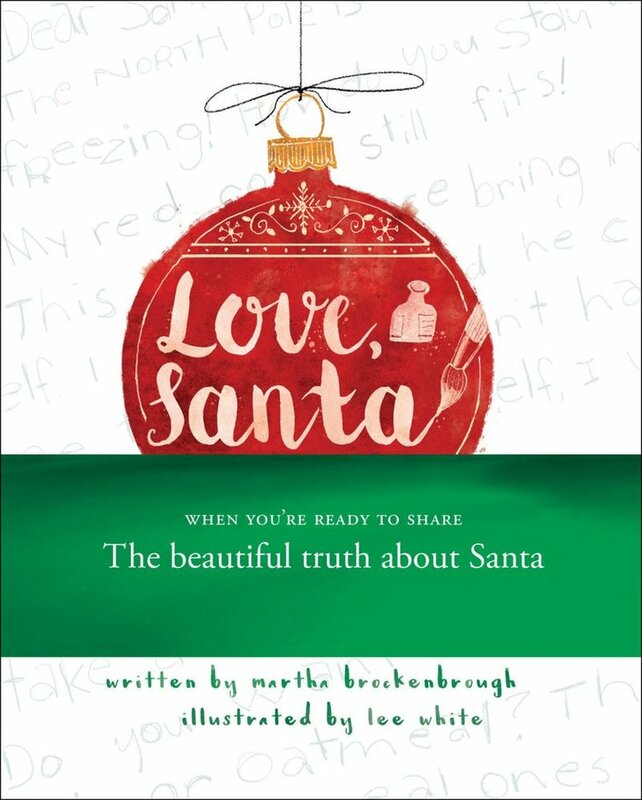 Santa is a good option for helping children come to terms with the truth about Santa. The story and illustrations are sweet. My favorite part is the actual letters you can pull out of envelopes throughout. 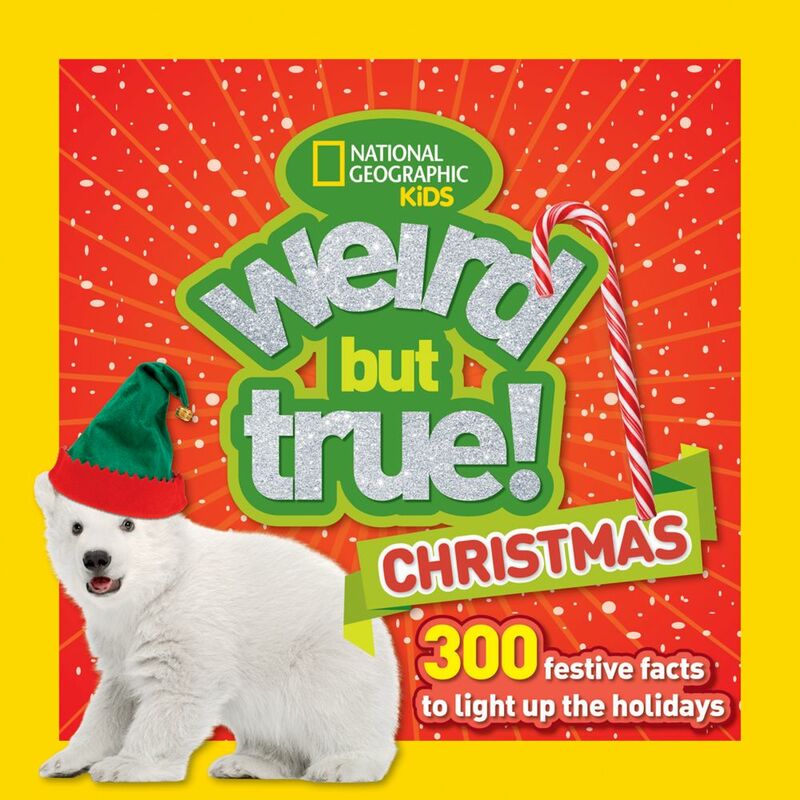 Even Christmas can be weird — it’s true! Get ready to celebrate the holiday season with wacky facts, stats, tidbits, and traditions about the most wonderful time of the year. Did you know that Santa’s reindeer are probably all female? Or that artificial snow can be made from seaweed? Or that “Jingle Bells” was the first Christmas carol sung in space? I’ve been a fan of the Weird But True series for some time. There’s something about random facts combined together that makes for fun reading. As with the other books in the series, this one is easy to flip through and there’s a lot of interesting information in there, too! Of course, most 8-year-olds will be able to read this on their own, but younger kids will like it as well. And I have a feeling it could be utilized in some kind of wonky family game, too.